Greece is one of the most popular destinations during the summer season. The truth is that mother nature have given their blesses to that land that it is still beautiful even during the winter. The villages and mountains that have no reason to be jealous for anything. Even more if there is snow over the mountains Christmas in Greece turn into a fairy tail. During Christmas everyone turns into child again. Every one without no exceptions, even the old and stingy Ebenezer Scrootz. We decorate carefully our house, our work places, even our harts and we start the count down till the time that Santa Clause is going to visit every single home on earth. 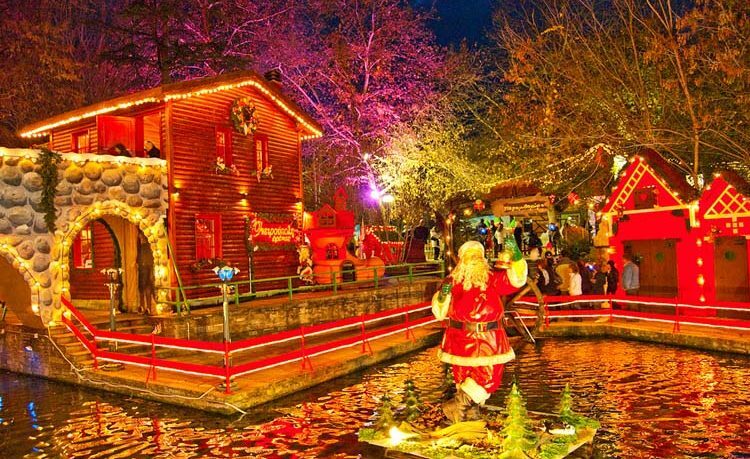 If you are still looking for the ideal place to spend Christmas Greece is one of the most adorable destinations. We are going to give you some ideas for Greek places where you are going to have some special and unforgettable moments. The capital of Greece is an all time destination. During Christmas there is a festive atmosphere everywhere. The Syntagma Square is full o lamps and there are a lot of activities where you can participate in. The Parthenon and the whole Acropolis look even more beautiful than any time of the year as if they have the knowledge of what is going to happen. The only thing you need to do is to book a room in one of the hotels in Athens. The city of the Angels is waiting for you at the Aristotelous square, the place that is the center of that great Greek city. You can take a tour with one of the boat cafe and see the city from the see or you can enjoy delightful moments in one of the excellent hotels in Thessaloniki. If you are looking to have alternative Christmas vacations you can always pay a visit at Mykonos island. That popular Greek island is a unique place that is worth visiting even during the Christmas period. Book now a room at one of the hotels in Mykonos and be prepared to live some unforgettable moments. Whatever your decision will be the tourist agency e-globaltravel is going to make real the vacations of your dreams!